In the past week or two, I have crossed paths once again with two interesting priests. 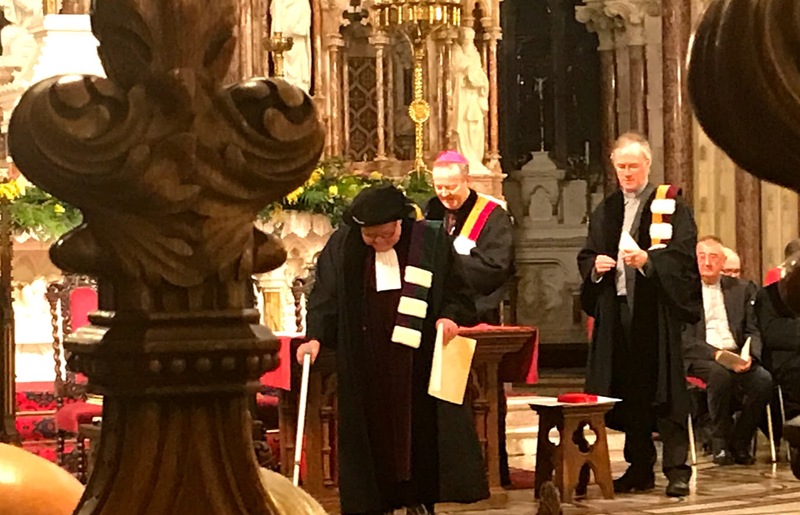 Brendan McConvery was honoured last week [12 March 2019] with an honorary doctorate from the Faculty of Theology at the Pontifical University at Saint Patrick’s College, Maynooth. In the same chapel in November 1987, as my Professor of Biblical Studies, Brendan had presented me for my BD degree. Dom Henry O’Shea is a monk of Glenstal Abbey, Co Limerick, where he is the master of studies and archivist. He spent 12 years in Rome as secretary to the Abbot Primate, procurator and secretary general of the Benedictine Confederation. We first met in Rome in September 2005, while I was staying at Sant’Anselmo, the Benedictine college and monastery, during a conference on the Churches and China. Our paths cross again once again this month [March 2019] in the current edition of The Furrow, a ‘Journal for the Contemporary Church’, founded in 1950, published in Maynooth and edited by the Revd Dr Pádraig Corkery, Head of the Department of Moral Theology and Acting Director of Pastoral Theology. The Cultural Reception of the Bible. Explorations in Theology, Literature and the Arts. Essays in honour of Brendan McConvery CSsR, Salvador Ryan and Liam Tracey, OSM, eds. Dublin: Open Air, 2018. ISBN 978-1-84682-725-9. Festschriften are not always a fun read – and are all certainly not intended to be. Frequently dull and of interest only to the specialist reader, they can also be marked by a mawkish piety, a form of ante-mortem canonization. This book is an exciting exception to all those hazards. Its thirty-three contributors along with a foreword by a prominent prelate, Cardinal Joseph Tobin, CSsR, and an introduction by the editors, Salvador Ryan and Liam Tracey, OSM, provides a feast for the specialist as well as the general reader. The book reflects the broad culture and scintillating personality of the one being honoured, Brendan McConvery CSsR. The list of contributors read like a Who’s Who of contemporary Irish ecclesiastical scholarship. Conveniently divided into six sections: I: Setting the scene. II: Theological Readings of the Bible. III: The Living Word of the Bible in Preaching, Literature and Life. IV: ‘Translating’ the Bible. V: Reception of the Bible in Literature and the Arts and VI: Appreciations, the book is enhanced by sixteen colour-plates. There is a seventh section whose sober title, Postscript, disguises what is in effect an unsentimentally moving meditation by the poet John F. Deane, who with his usual flair does honour to Brendan McConvery while creatively relativising the potential absolutes of any reader. The sheer breadth of the book is a joy, ranging from the sober-sounding essay, The Spiritual Interpretation of Scripture, by Noel O’Sullivan to the racier-sounding Allegory and Cross-Reading: Paul Ricoeur and the Song of Songs by Michael A. Conway. This is to mention only two contributions in Section II. 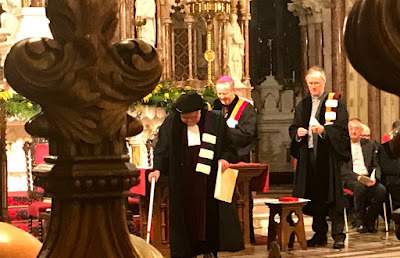 The honoree’s interest in liturgy and preaching is reflected in essays in Section III such as Between War and Fasting: Uncovering Leo, Joel and Pauline Thought in an Ash Wednesday Prayer by Thomas Whelan and an hilariously sobering contribution by Hugh Connolly, ‘For God and Ulster’: An Anecdotal Look at the Use and Abuse of Scripture in Northern Ireland. In his introduction, Cardinal Tobin recalls Pope Paul VI’s judgement that the split between the Gospel and Culture is ‘the drama of our time, just at it was of other times’. If one accepts Patrick Kavanagh’s challenging distinction between the provincial and the parochial, this book is an illustration of how a scholar can lead a reader to an appreciation and appropriation of the Gospel by filtering it through the prism of a particular culture and in doing so opens up that appreciation and appropriation to all other cultures. The genius of Brendan McConvery in doing just that and in communicating this art and skill to his pupils and others is reflected in this book. Given the sweep and the uniformly high standard of the contributions, it is invidious to single out any one of these for special consideration. This reviewer was particularly struck by Patrick Comerford’s essay, F.J.A. Hort (1828-92), the Dublin-born Member of the Cambridge Triumvirate and Translating the Revised Version of the Bible. The writer gives a fascinating glimpse into the world of Anglican theological scholarship at Cambridge in the wake of the academic reforms of the early nineteenth century, along with the not always temperate confrontation between partisans of the Oxford Movement and their evangelical and liberal opponents of whatever stamp. Garnished with an entertaining introductory account of the Hort’s background and lineage, the Anglo-Irish contribution to this scene, often unknown to present-day Irish readers, is discreetly indicated. More importantly, Comerford gives a concise but comprehensive account of the process that led to the Revised Version of the Bible, and his subject’s role in this. As he says in his summary of Hort’s contribution and legacy, ‘Hort’s scholarship has irreversibly changed how we read the New Testament. Without his work, we would have no Revised Version of the Bible, and its successors, the Revised Standard Version and the New Revised Standard Version, against which all other translations are judged and compared.’ But Comerford’s is only one gem among many. Other essays reflect the title of the book in examining the reception of the Bible in music, stained glass, painting, literature and film. Piety towards a mentor is not a sin and Section VI four appreciations from pupils and colleagues. The titles of these sum up what this Festschrift is all about: Brendan McConvery as teacher and mentor (Triona Doherty), as pilgrim and guide to the Fifth Gospel (Julieann Moran), as Redemptorist communicator (Máire Ní Chaerbhaill) and as colleague in the spreading the message of the Scriptures (Wilfrid Harrington OP).